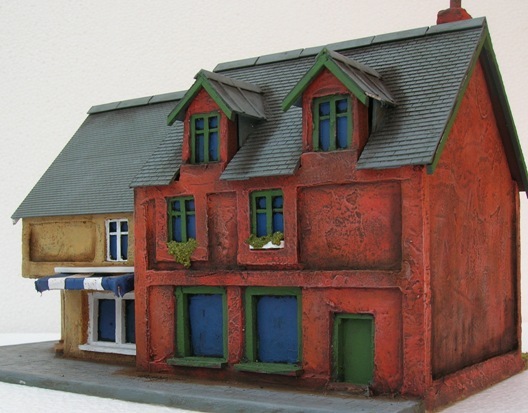 Houses cover many different styles and sizes. I have put photos in here that perhaps don't fit to well in other categories! 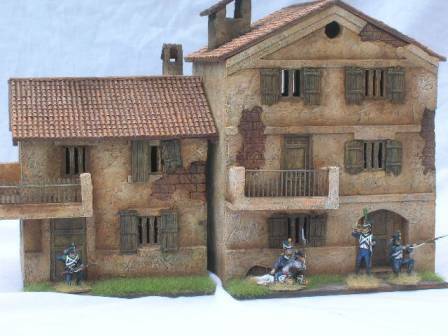 One of my favourite house commissions was to do a couple of 40mm Spanish buildings (along with a chapel. 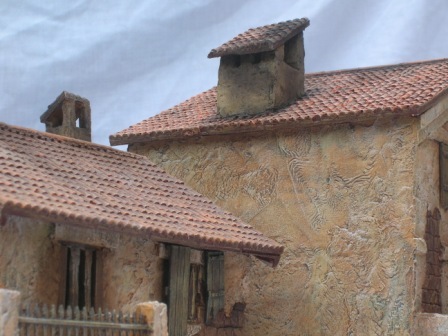 I was able to use my resin sheets of pantile roofing and the metal wooden shutters I have had made. 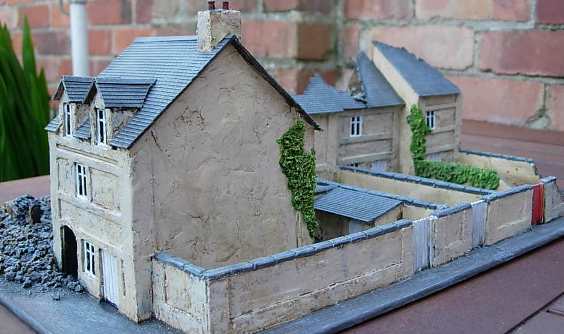 The weathered and old look seems to have come off quite well and will make great pieces to skirmish round. 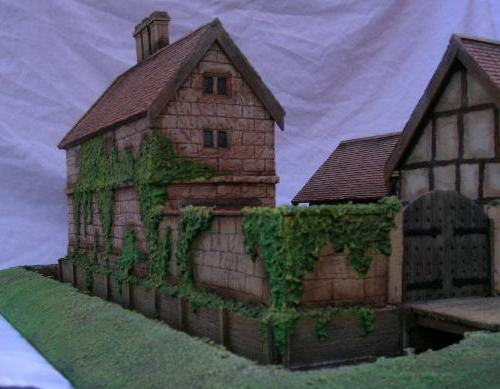 I have done a couple of projects centred around the English Civil War. 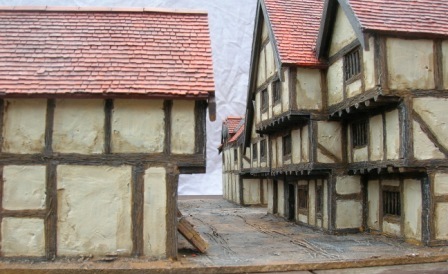 The first was a monster one-York which involved making a number of timber framed houses, one of which is in the photo on the right. 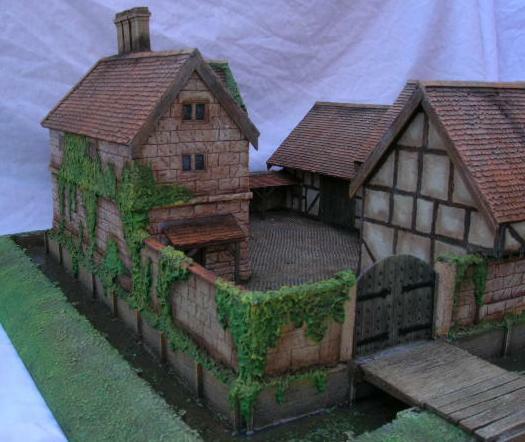 The second was a Fortified and moated manor. 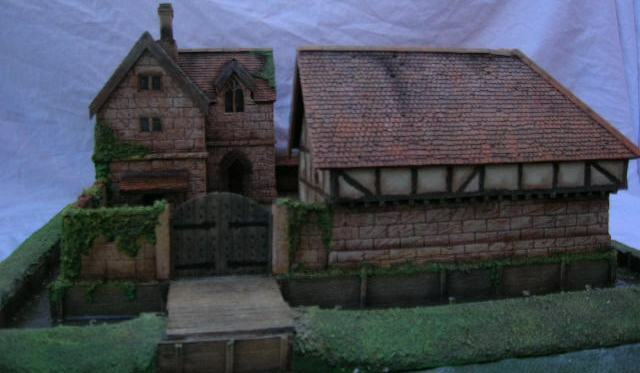 It needed to have a house, stables and some sort of barn or wagon shed all surrounded by a moat. 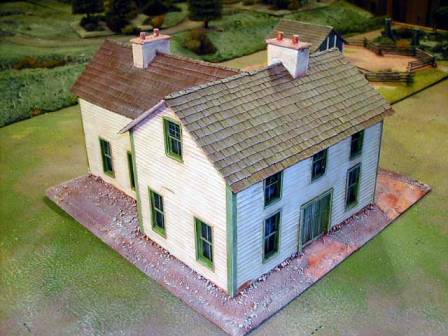 This was a 2 foot square piece in 28mm and was exported to the USA. I couldn't neglect one of my favourite building materials in this house section- wood. This next batch tend to be for the North American theatre with the Wild West, American Civil War and War of Independence covered. 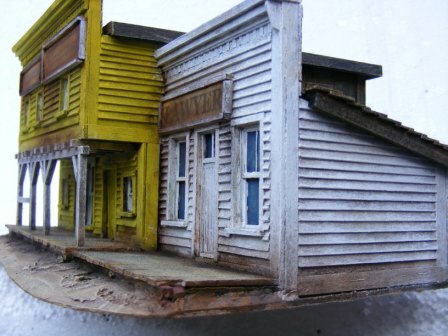 All these houses have balsa wood planking and shingles along with either my own resin window frames or those supplied by Grandt Line in the USA. 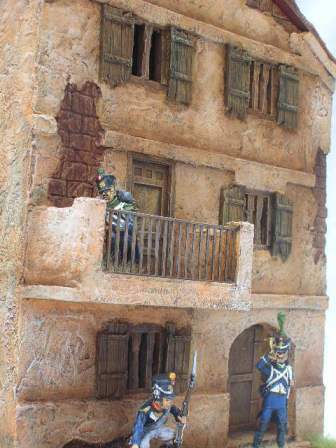 The picture on the right at the top is in 54mm scale and was to help display American Civil War figures in the Western campaigns. 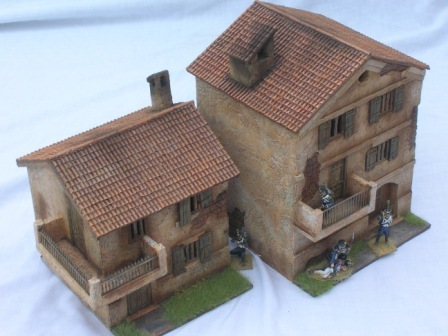 The bottom picture is in 28mm scale and for a wargamer playing cowboy skirmishes. 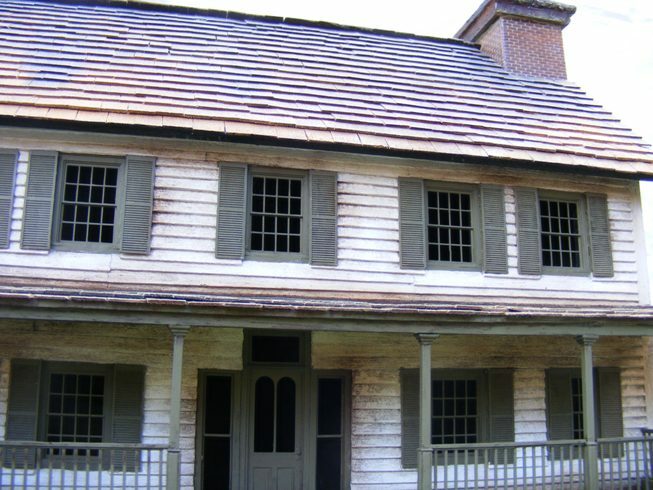 The pictures below are of an American Civil War house used in a re fight of Stones River (the left picture) and the picture on the right is a 40mm War of Independence farmhouse. 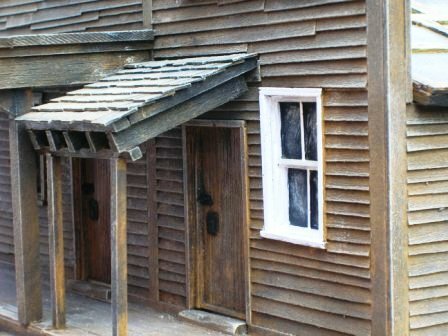 The great thing with all these four wooden buildings is they can be used in the majority of conflicts found on the North American continent. 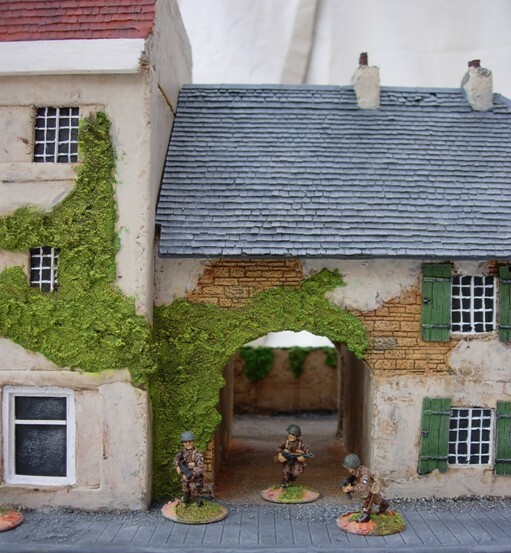 The two picture on the left are both 20mm models but one is fought over in Asia and one in Normandy. 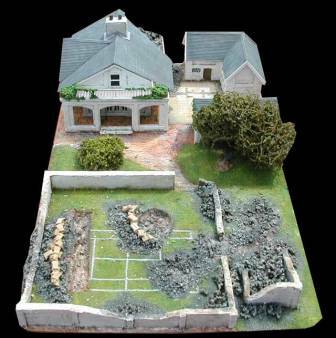 The top photo is a re creation of the British Consulate's residence at Kohima where British soldiers dug trenches in the tennis courts and was bombarded there by the Japanese. 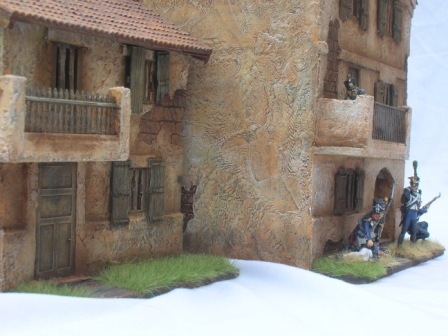 There were very few sources to work from so I just tried to give the feel of an consulate's house. 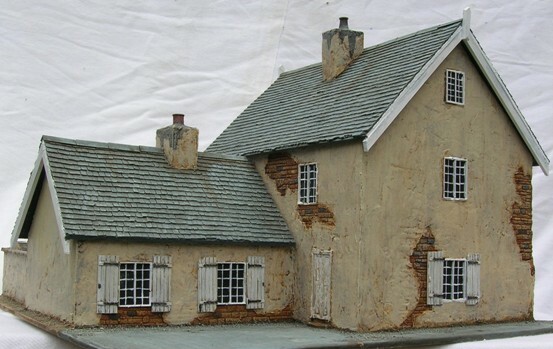 The bottom photo is a Normandy house and shop. I think it was used specifically for British Paras to fight over but could be used anywhere in Northern Europe. 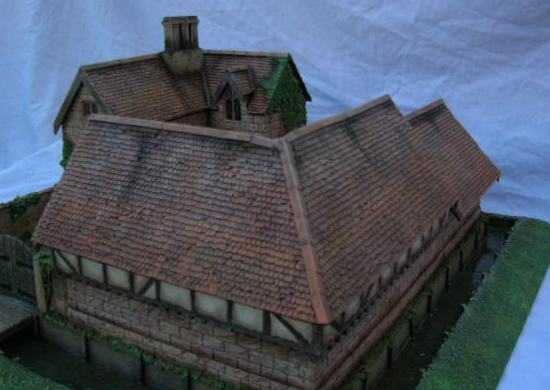 The roof on this model was made from the Wills range of embossed plastic card. 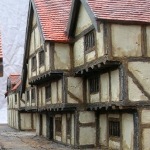 They come in small sheets so I designed the houses so they were no wider than one of the sheets of tile. 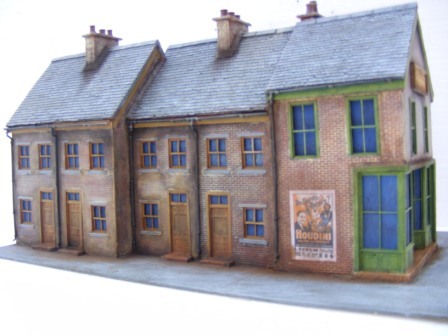 If you have any questions on any of these projects or they have inspired you to ask about your own commission then please email me or ring me on 01509 828002 and ask for David.